In light of President Rodrigo Roa Duterte’s signing of the Executive Order (EO) that bans endo and illegal contractualization of workers on 2018’s Labor Day, writer Krizette Laureta Chu recently posted an inquisition on Facebook towards Senator Kiko Pangilinan of the Liberal Party on his own restaurant employee’s claims that they’ve been a victim of endo by the aforementioned senator. 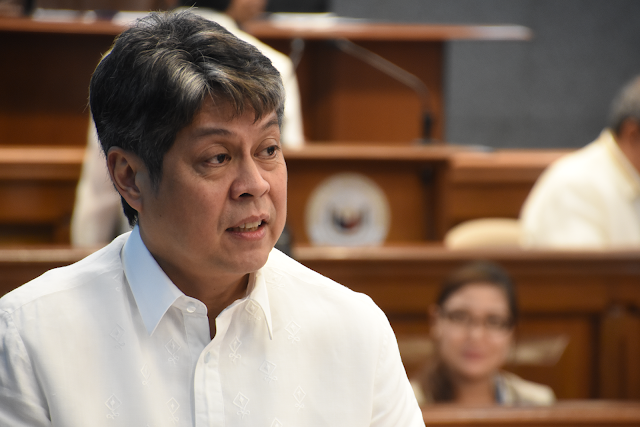 Kiko Pangilinan apparently owns restaurants like La Mesa, Todd English and Pound, whose employees all cry to be regularized in order to obtain the benefits that they worked so hard for, benefits that they deserve. Chu revealed that Pangilinan’s restaurant employees are dissatisfied with the illegalities of the circumstances of their job. And even one of the kitchen managers even stated the evaluations that the management give to their employees that result in their firing is too sudden since they aren’t regularized or even under a proper contract to start with. So Chu asks, is this how the Liberal Party fights for the rights of workers? Is this true? Why demand so much from the government when the senator himself has owned those restaurant for years yet there has been no regularization for its workers so to speak. This is the Liberal Party’s hypocrisy at its finest, exposed by a mere writer who acted as the voice of those underpaid, underprivileged and underestimated workers.